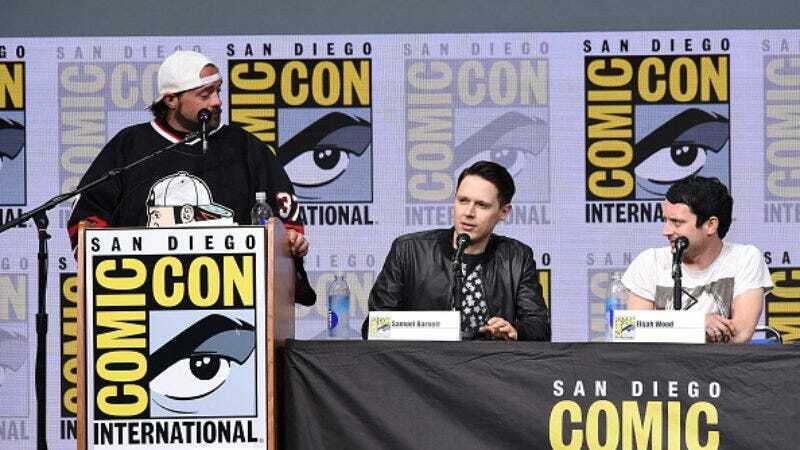 San Diego Comic-Con may be over, but the legal battle over what pop culture-filled events get to refer to themselves as “comic cons” is just getting underway. According to The Hollywood Reporter, the SDCC organizers are pushing for a trial date to have their trademark infringement claims heard. See, more than one superhero-and-nerd-packed event uses the term “comic con” in its official name—in addition to San Diego Comic-Con, there’s Salt Lake Comic Con, whose organizers are the defendants in SDCC’s lawsuit. 10 years ago, SDCC successfully trademarked its name, but only after demonstrating that the “Comic-Con” was more than just “merely descriptive.” SDCC’s executive director Fae Desmond provided the trademark office with a ”declaration” that proved the San Diego iteration had “been used continuously and exclusively in interstate commerce … for over 36 years.” But Salt Lake Comic Con organizers Dan Farr and Bryan Brandenburg dispute what was presented in that application. They’re arguing that “‘comic con’ is a generic term that’s been effectively abandoned with the appearance of other conventions in places like Chicago, New York and Detroit.” So now that there are multiple comic cons, there is no one comic con, apparently. The punctuation doesn’t matter, either, though SDCC’s long had its hyphen. The plaintiff’s recently requested a protective order before this year’s Comic-Con, noting that the Salt Lake folks had “brazenly engaged” in an attempt to “win this case in the court of public opinion,” via press releases, news and Facebook stories, and other forms of social media. This online “campaigning” will make it difficult to put together a jury—especially with one article reportedly referring to SDCC as the “Lex Luthor” in this scenario. Now that a gag order is in place, neither side can take swipes at the other. They can only post court documents in full, and without any commentary, which means that any updates on Twitter with references to “Kryptonite” and “protective orders” will come from outside their camps.